You can’t catch a cold by being in the outdoor elements since colds are caused by a viruses or bacteria. So why does it seem that more people are sick in the winter months? Due to people staying indoors to remain warm and cozy, they are in closer proximity to each other allowing the germs to more easily travel from one person to another. This close contact allows airborne illness to easily spread. Is it true that there is something magical about chicken soup to treat a cold? 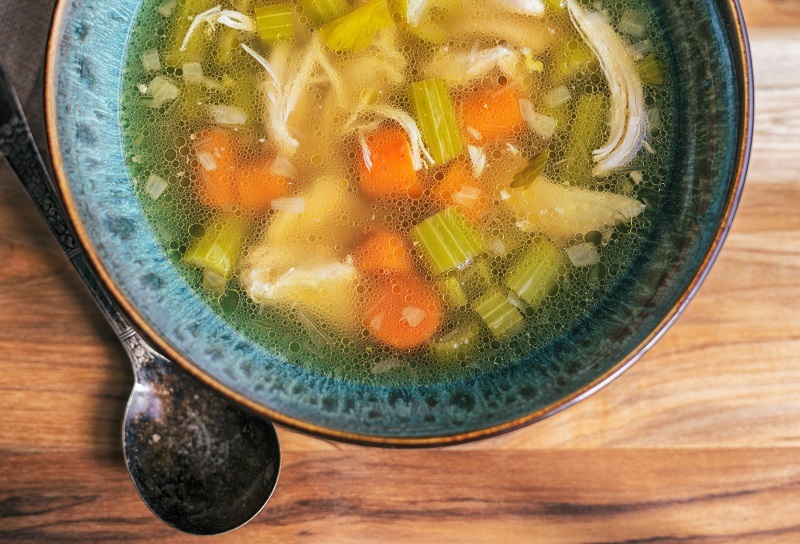 Hot liquids definitely can soothe and relieve symptoms but there is some science behind the benefits of chicken soup. Chicken soup may benefit the immune system by neutrophil aggregation; bringing white blood cells together. White blood cells aid to help in fighting off infection so you can recover faster. So, if you’re not feeling well, dig out your mom’s recipe and get plenty of rest.